There are a few untrustworthy electricians roaming the streets that will do anything to take advantage of your trusting nature. 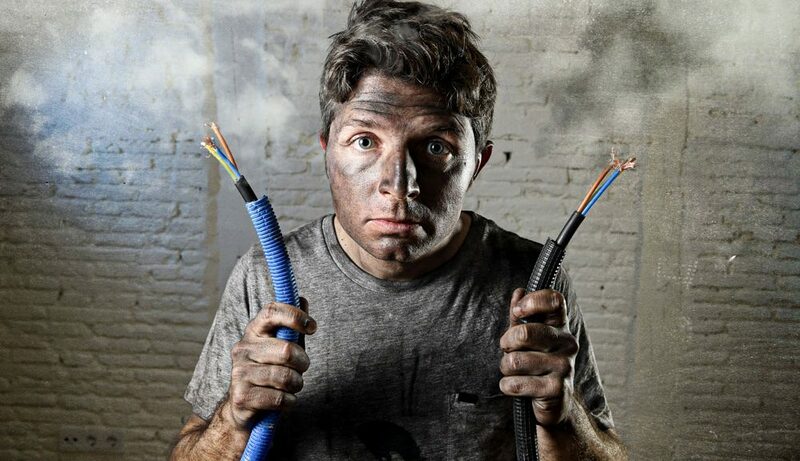 Scams and fraud are the order of the day with these electricians, so in this article, we discuss Signs of a rogue electrician, because you deserve to know. The people definitely do not have your best interest at heart, and can use violence and intimidation to get the best of you. when you encounter a rouge electrician, be smart and act fast, so you can defeat them for good! For more, read on! Rogue Electricians are not as slick as they think, they leave messy trails and as time progresses or even straightaway their motives are easily spotted. There are many credited companies out there with real electricians all over, such as electricians from Bedford to Hitchin. So if you want to know how to spot rogue electricians, read on. Legitimate electricians should be more than happy to present their references, however, if you touch on this subject with a rogue contractor, then be prepared for some light stuttering or a promise to present it at a later date- but never brings it up again-. If this is the case, I suggest you should look for a different service provider immediately. If you requested a specific service and they are more than happy to oblige, this is good, but if they then start forcing their other services on you and decrease the prices dramatically, then run, run fast. All they want is your money, and the job they do will either lead to you spending more money than you initially intended to spend or work for a short while before malfunctioning soon after, so it pays you more to get an established electrician even if you have to pay a little more. Don’t do it, my friend, avoid it at all costs. A professional service will never ask for money upfront, only when the job is done will an authorised service ask for payment. Giving them this money gives them the chance to just grab and run and they might not even do the job at all or even if they do, it will probably be dissatisfactory. Though a swift service is good, most companies will most likely be busy and usually provide services within a few day or even weeks after request. A service that is too fast to be true, it might be just that. So if this is the case with your electrician and they also tick the boxes of the point mentioned prior then you have yourself a rogue electrician. Avoiding rogue electricians is essential if you want o either keep you money in tack or have proper service. Now that you have some tips on how to completely avoid these scam artists, you should now be invincible.